The Crystal Maille Cuff is a bracelet that is loaded with "bling". 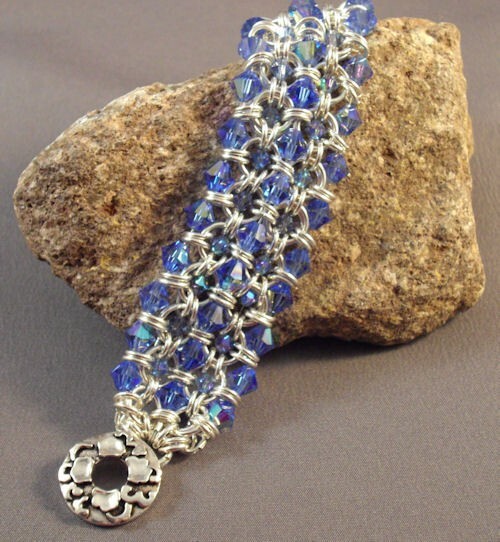 It combines beading techniques with chain maille techniques. This bracelet truly has the feel of a "cuff" when you wear it on your wrist. You supply the 6mm and 4mm crystals and also the clasp. I consider this an intermediate project due to the combination of beading and the chain maille techniques. For those who want sparkle and color, this is your bracelet.